A couple of weeks ago I was contacted by Chet Burt from Welly Paddlers and Think Kayaks in New Zealand. He was planning his travelling overseas and of course he had the good judgment to plan a stop in my hometown of Göteborg. 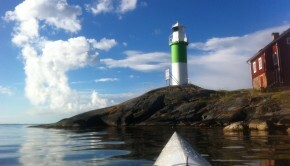 We decided to catch up for a paddle and today we went to the local Think dealer Kajaktiv, located north of Göteborg next to the old pitoresque fishing village of Klädesholmen. 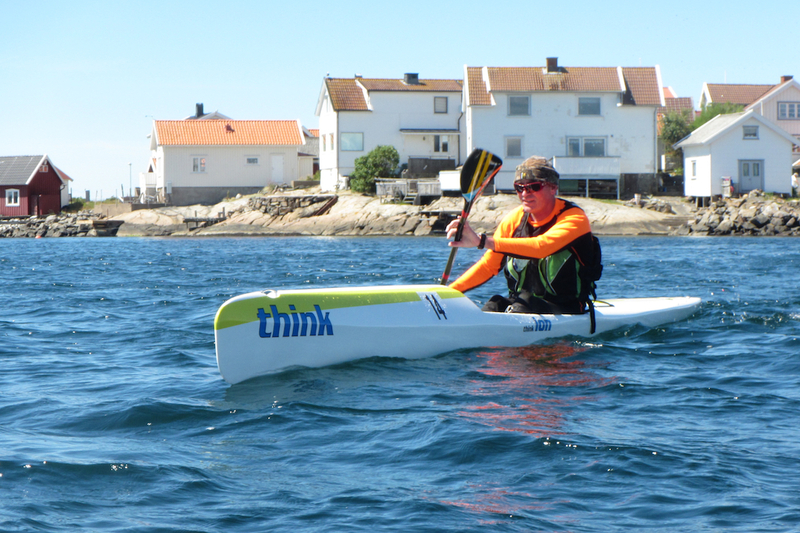 Besides great company I also had the opportunity to test a new surfski to me, the Think Evo II. 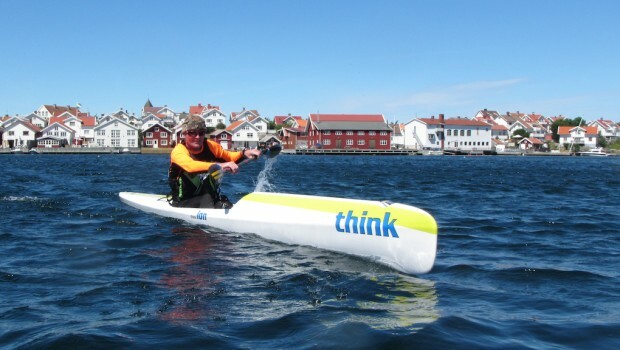 The Think Evo II is a really nice surfski for intermediate paddlers. I found it very stable but still fast. Excellent sit comfort and paddling ergonomics. It is easy to adjust the distance to the pedals and with 5 mm intervals you are able to trim your sit position nicely. All this together made me feel strong and effecient in my paddling. I want to try this ski more in real downwind conditions in my search for a more stable ski to have as an alternative to my Fenn Spark when the weather and water gets colder. According to Rob Mousley at surfski.info it goes like a rocket downwind. The Think Evo II is also a favourite to Wesley Echols at Surfskiracing. 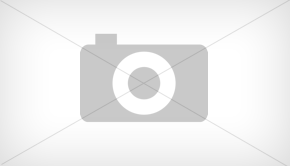 He has written a review about the Evo II as well. Chet Burt from Wellington, New Zealand, in a Think Ion.